Washington Patriot Construction, (WA Patriot) is a Service-Disabled Veteran-Owned Small Business (SDVOSB) commercial construction company primarily serving clients in the state of Washington. Established in 2009 by Michael “Mickey” Traugutt, the business has built a reputation over the years for quality, integrity and leadership. Traugutt is a West Point graduate, service-disabled veteran and a LEED Accredited Professional. His experience in the military and dedication to excellence and service have laid the groundwork for the company’s identity today. The business performs a significant number of military contracts as well as community-oriented spaces such as schools and churches. 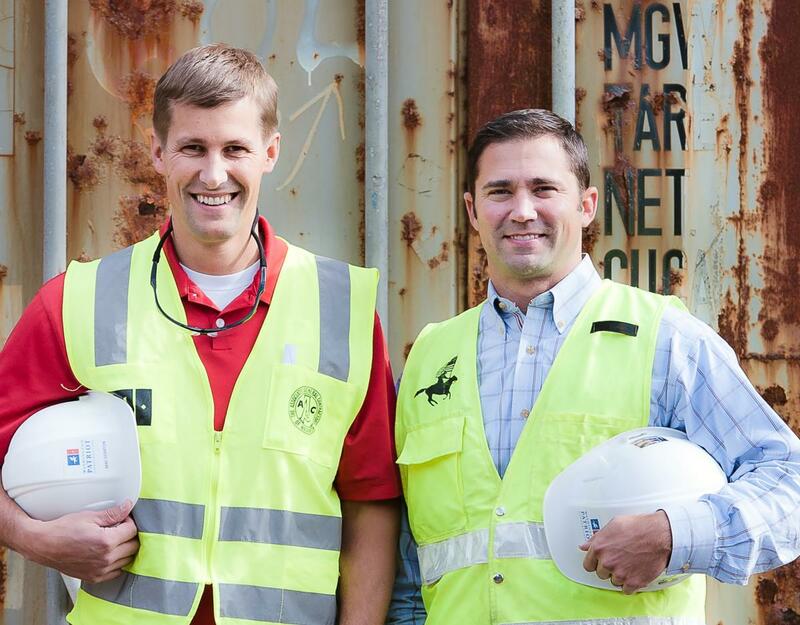 While quality construction is the main focus of the business, Traugutt and his team strive to be good community stewards. WA Patriot is involved actively and as a sponsor of several community organizations, such as the Wounded Warrior Project, Rally Point/6, Wear Blue: Run to Remember, Gig Harbor Peninsula FISH Food Drives, Pierce County Parks’ Parks Appreciation Day and Retsil Veterans Home. As a SDVOSB, WA Patriot has opportunities with the federal government to pursue projects that are set-aside for SDVOSB firms. Federal agencies are required by law to spend 23 percent of their purchases with small businesses. The set-aside breakdown includes 3 percent of those purchases for SDVOSB firms. During the first four years of operation, WA Patriot’s projects were primarily military, specifically with Naval Facilities Engineering Command, Northwest (NAVFAC NW). The WA Patriot team has performed dozens of projects at installations in the NAVFAC NW region. These contracts include a variety of project types such as repair of railroad bridges in various areas throughout Kitsap County; repairs, upgrades and renovations at Naval Hospital Bremerton; seismic and systems upgrades at various administrative facilities at Naval Base Kitsap Bremerton; and a recently completed design-build vehicle barrier project at Naval Base Kitsap Bangor for which WA Patriot received an Associated General Contractors of WA (AGC) 2014 Build Washington award for Construction Excellence. WA Patriot’s scope of work on the Vehicle Barrier project included design, fabrication, and installation of 2 miles of modified Normandy barrier at NBK Bangor. The barrier system provides a continuous passive barrier system to prevent or delay threat vehicles. In WA Patriot’s experience, this rated vehicle barrier system had never been installed on this type of terrain and there were learning curves associated with the process. WA Patriot’s challenge was to maintain the specified and required rating at installation locations that were nothing like the testing locations, which had perfectly flat ground and different soil composition. The team developed solutions to install in multiple types of terrain and environments and provide engineering support to confirm the installation met the barrier crash test rating. The company has worked with many clients in the private sector, including Olympia Country & Golf Club, Harbor Greens Market, Tides Tavern, University of Puget Sound and Boeing. In addition to these private commercial projects, the business has also been involved in a number of public commercial contracts. One of the more rewarding projects for Traugutt has been WA Patriot’s work at the Pierce County Skills Center (PCSC) campus in Puyallup, WA. The contract consisted of the design and construction of Phase III of the campus expansion, which kicked off in May 2014 and is wrapping up in spring 2015. The 24,000 SF ground up construction project is only the second Washington State School District project ever performed using design-build. Although the project involved nothing particularly out of the ordinary, it excelled in the use of design-build in the way the team collaborated to provide the client what they needed and wanted within the funding available. One aspect of the PCSC Phase III project that Traugutt and his team are especially proud of is the fact that two students from the skills center joined the WA Patriot team during construction. WA Patriot hired a PCSC construction trades student as an intern to assist with project administration through the summer. In addition, WA Patriot sponsored a graduate of the Skills Center into the carpenters’ apprenticeship program so he was able to participate in construction of the facility. WA Patriot believes it is extremely important to give these individuals an opportunity to gain first-hand, working knowledge of their trade to help them grow into skilled professionals. Working with the seasoned veteran carpenters assigned to this project will help them learn from the best. WA Patriot also recently participated in a community service project with Rally Point/6, an organization that offers transition support for all veterans. The company worked with the organization and several local contractors to renovate the home of a returning soldier who had lost both his legs in Afghanistan. Renovations were designed to accommodate the veteran’s wheelchair and to upgrade fixtures and finishes so that he and his wife could have a comfortable, relaxing space to live in while he rebuilds and transitions back into the community. WA Patriot performs structural concrete, framing and finish carpentry in-house. On some occasions, the team will self-perform more aspects, but typically other trades are in the hands of capable and reliable subcontractors. These partnerships allow the business to build resources when needed. Traugutt trusts his strategic partners to take on the same dedication and accountability as those who work directly for WA Patriot. While the commercial market has posed challenges to contractors throughout the recession and slow recovery, Traugutt says that the federal side of the operation kept the gears turning for WA Patriot throughout an otherwise slim time period for the construction market. With a bright outlook for the coming years, WA Patriot will continue to provide quality construction services while remaining dedicated to serving the community and building relationships in the federal, public and private construction markets in Washington State.